The leading 3D PDF publishing solution for Cinema 4D. Secure your documents with Password Protection and User Permissions. Bring your content alive with camera and object animations controlled by the viewer. Note: Prior to R20 everything was in a single plugin. From R20 onwards the features have been separated into different plugins. Use the menu on the left to see all the features and plugins that 4D Publish uses. New 1.7: Create interactive 3D PDF documents with animations and camera movements. New 1.7: Allow user to change lighting and shading using buttons. New 1.7: Takes support to hide and show 3D models using buttons. New 1.7: Secure documents with Passwords and User Permissions. Export all geometry and textures from Cinema 4D into a compact PDF document. 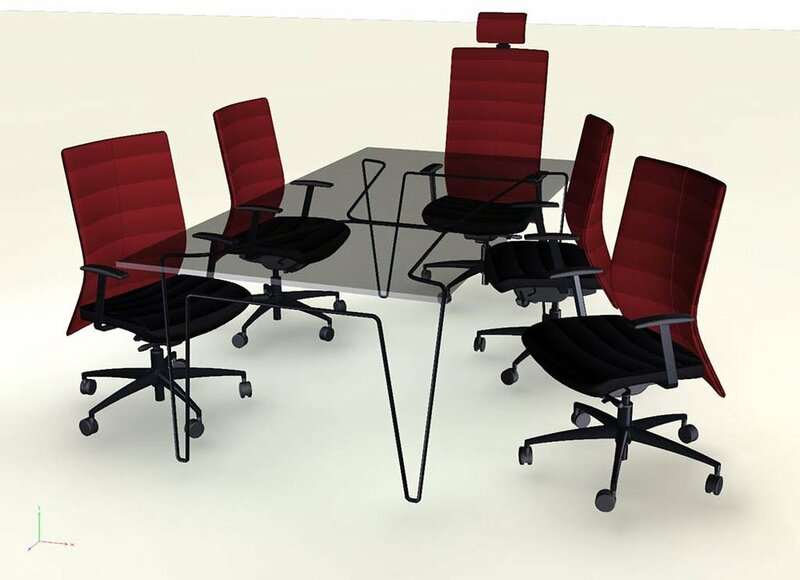 Build presentations, product design, architectural previz, interactive training material and more. Use the Vector Graphics system to design the look of your PDF page, add buttons to control animations, cameras and switch between takes, save multiple pages and also author multiple PDF documents directly in your scene. Please note that this video is an early Sneek Peek video of the features in 4D Publish 1.5. New videos will be created in future. 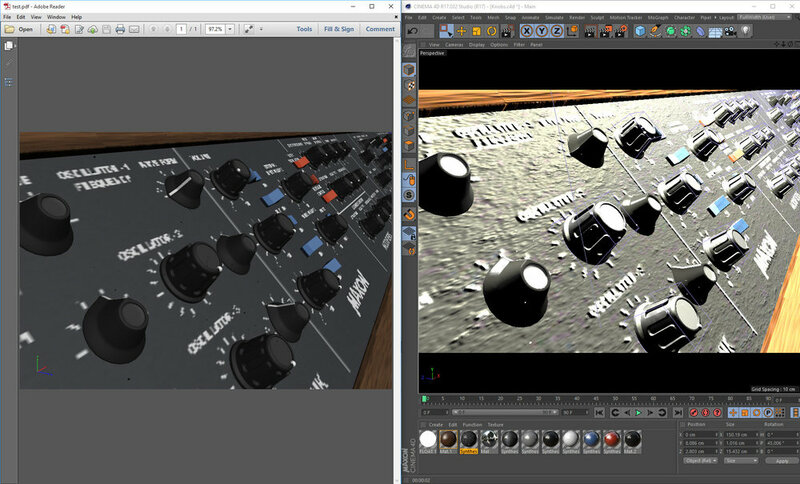 Also the UI and Workflow for applying Cameras and Takes is different in this video to the final release. The final release works with a Drag and Drop system. This sped up video shows how you can easily create an interactive 3D PDF document, directly in Cinema 4D, in just a couple of minutes. Note: This video is running at 2x speed and has no sound. If you need something exported quickly and do not need animation or any of the Visual Page Designing features then you can use the general PDF exporter. From the File menu choose PDF as your export type. 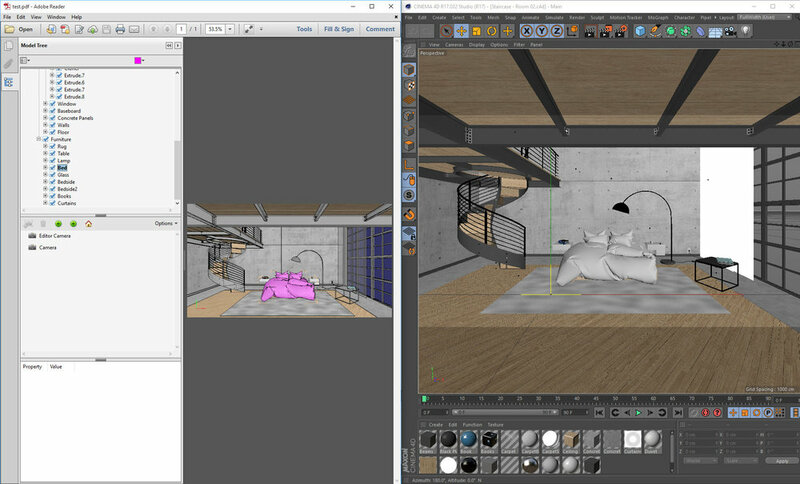 The scene will then be exported out to a PDF document with the 3D content embedded on a page. Securely protect your content by adding password protection and user permissions. Password Protect your files so that only people with the password can open and view the content. Additionally, or alternatively, you can apply user permissions to a file to restrict the user from being able to copy or change any of the content in the 3D view. 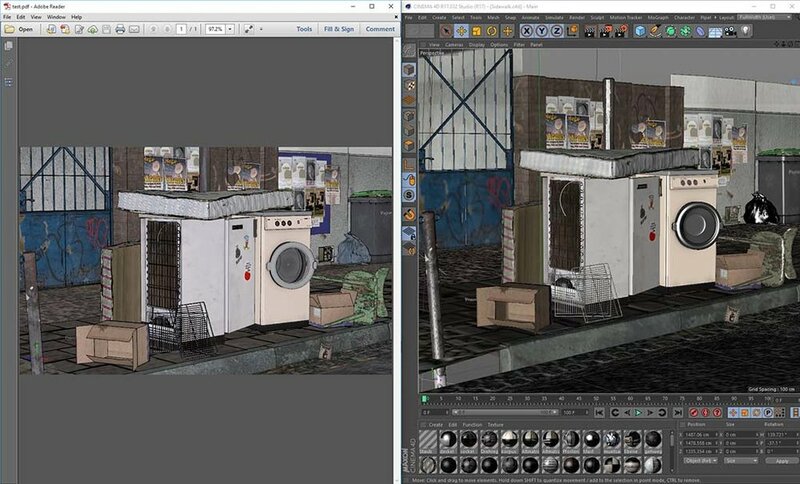 Download and preview some example scenes exported from Cinema 4D. Unzip the pdf from the file and view in Adobe Acrobat Reader. A model of Mt Ruapehu, created using DEM Earth and exported to 3D PDF with animated cameras. In this video we will use DEM Earth to create a model of a mountain, create 2 camera animations and then export it out to a 3D PDF to let the end user trigger the camera animations. 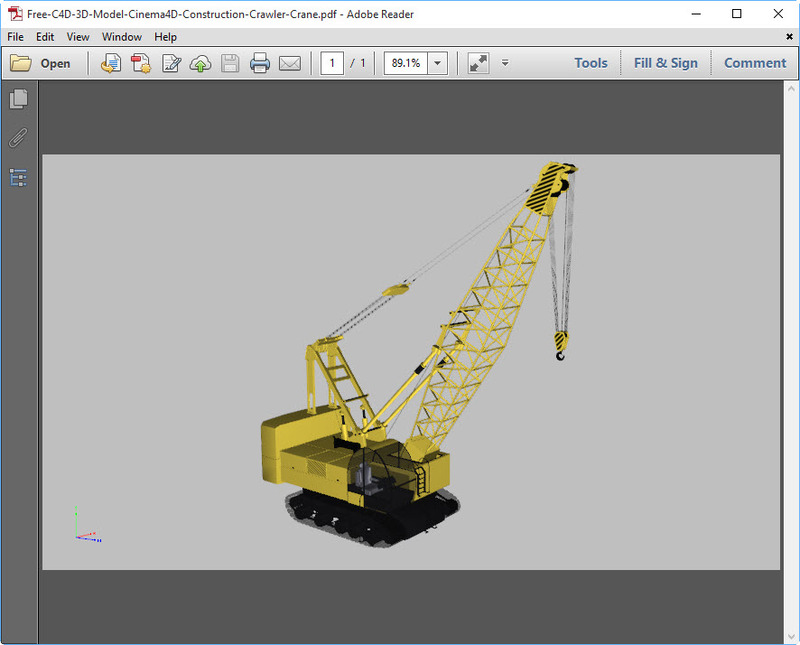 This video demonstrates how you can create a step-by-step interactive 3D PDF to instruct someone how to operate a machine, pull apart an object safely or build something. By creating buttons that trigger step by step instructions you can deliver interactive 3D PDF documents to end users as tutorials for part of your documentation system. This video demonstrates how to export out the Gamer.c4d scene that ships with Cinema 4D, to a 3D PDF document. This video demonstrates how to create a basic physics setup using the new 4D Publish Physics System, and how to export out the animation to a 3D PDF. This video demonstrates how to use the Export Tag to tell the 3D PDF exporter to include procedural animation, export only child objects, and also how to tell objects that they should not be exported out to the 3D PDF at all. Create interactive PDF documents with Takes, Buttons and Cameras. Change camera views, object visibility, lighting and shading with buttons directly on the PDF pages. Multiple Views and Creating Buttons using Cameras. 4D Publish 1.5 will allow you to create multiple 3D views on a single page and also create buttons directly in your PDF to switch camera views. 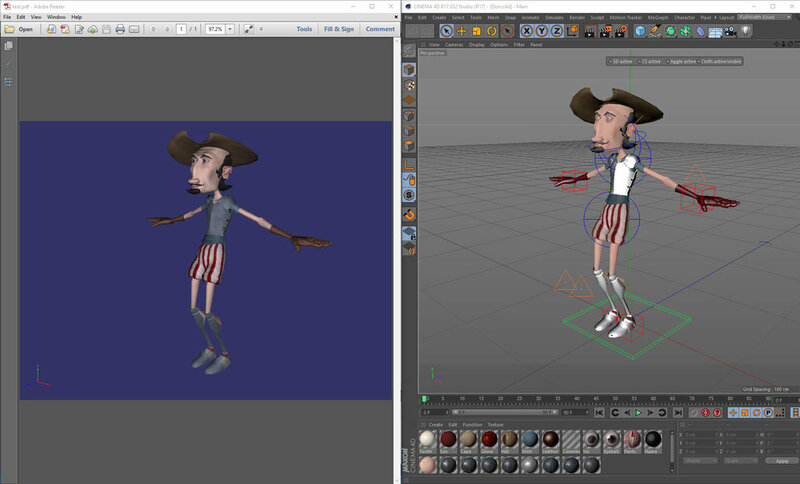 In 4D Publish 1.5 you can create buttons to animate objects directly in your scene. Also shown is the new settings and workflows for adding images and previews to 3D backgrounds. A tutorial showing how to export the Retrospace scene for optimal file size and quality in a 3D PDF file. It also goes over how to use environment maps to add reflection to your PDF models. 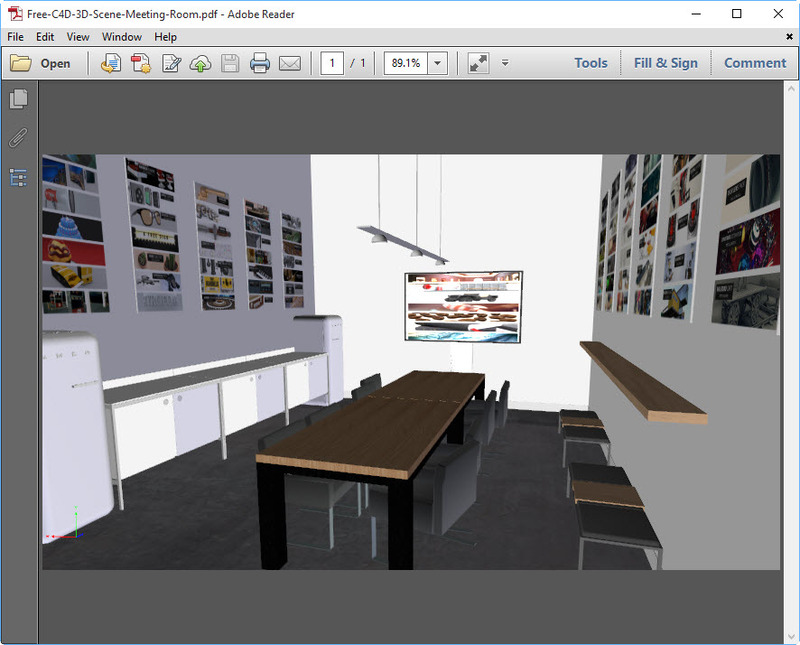 Some examples scenes from users converted to 3D PDF documents. For further information be sure to check out the official help documentation.